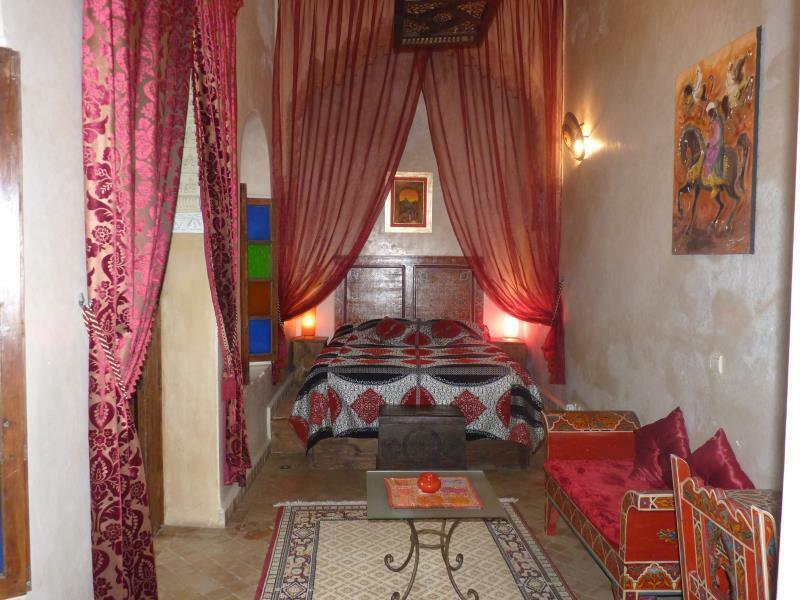 ﻿ Riad Marlinea Hotel Salé. JIMAT di Agoda.com! Ada soalan mengenai Riad Marlinea Hotel? Ketika melawat Rabat, anda akan merasa seperti di rumah di Riad Marlinea Hotel, yang menawarkan penginapan berkualiti dan perkhidmatan hebat. Dari sini, tetamu boleh menikmati akses mudah kepada semua yang bandar meriah ini boleh tawarkan. Tidak kurang hebat adalah akses mudah hotel untuk ke pelbagai daya tarikan dan mercu tanda bandar, seperti Rabat Old Town, Galeri d'Art Nouiga, Muzium Oudaia. Menawarkan tetamu hotel perkhidmatan yang unggul dan pelbagai kemudahan, Riad Marlinea Hotel komited untuk memastikan penginapan anda berada di tahap seberapa selesa yang mungkin. Untuk keselesaan dan kemudahan tetamu, hotel ini menawarkan khidmat bilik 24 jam, Wi-Fi percuma semua bilik, daftar masuk/daftar keluar ekspres, simpanan bagasi, Wi-Fi di tempat awam. Tetamu boleh memilih dari 6 bilik, semuanya yang akan memberikan suasana ketenangan dan keharmonian. Hotel ini menawarkan banyak peluang rekreasi yang unik seperti tab panas, padang golf (dalam jarak 3 km) , rumah urut, solarium, taman permainan kanak-kanak. Nikmati perkhidmatan yang sukar ditandingi dan lokasi benar-benar berprestij di Riad Marlinea Hotel. 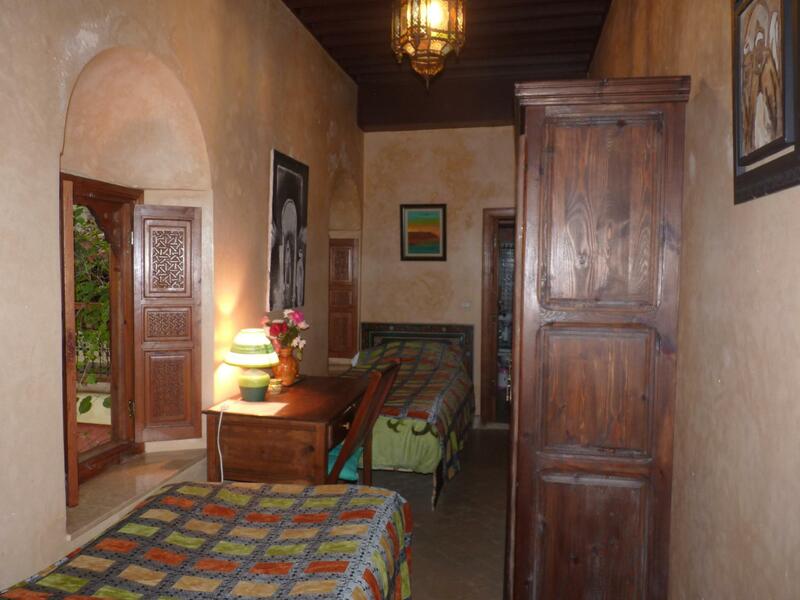 As most Riads they are tucked away but this one looked tired and in need of some attention. You weren't given a key to get in so felt awkward getting in late. Breakfast was poor and host not very attentive . We cut our trip short and left early . bonjour , le grande problème que c'est pas ça ce que vous avez dis a notre femme de ménage au bien la fille de réception , vous avez dis que c'est un bon endroit calme et propre et que vous avez bien aimé le petit déjeuner et comme preuve vous avez tout manger sans rien laisser sur table ; et ça pour toutes les jours séjourné ; et vous avez promis la fille de lui laisser " un pourboire " pour ca gentillesse avec vous ; et pour les clés vous avez jamais demander en sachant que les porte chez nous s'ouvre au clients a n'importe qu'il heure de leurs arriver . je me demande pourqoui ces mensonges . It is a nice small hotel. Not exactly low cost but in the budget category of the area. It was chosen largely for the location we desired and that fitted the bill. The only problem was it was hard to find arriving at night. But once the location was worked out that was fine. I would recommend it. 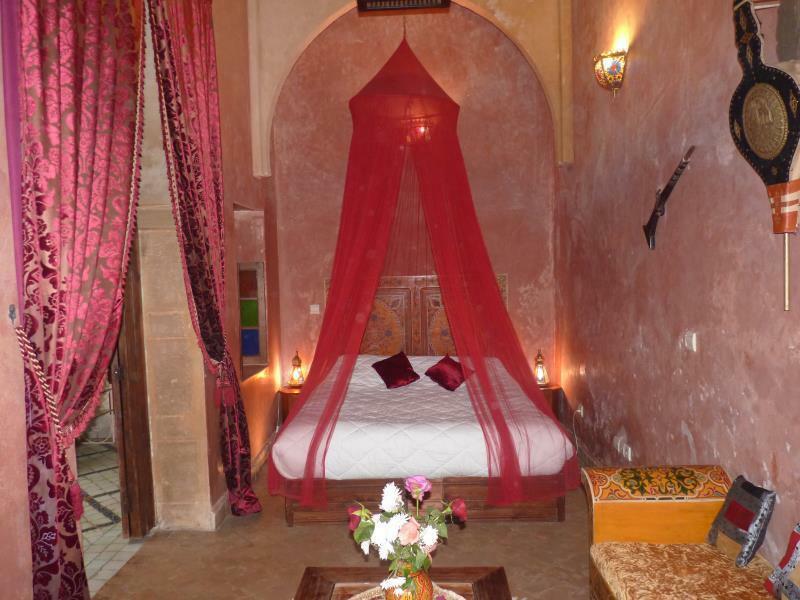 One of the best stays of my trip across Morocco. The staff is very friendly and the building is beautiful. Since it is situated in medina, arriving might be a bit difficult especially at night but it is definitely worth it. thank you ; we hope see you again . Close to market place and the beach. My 2 year old daughter enjoyed the beach immensely. No front door key to Riad but staff happy to open the door after buzzing. Lovely room. Quiet area although you can hear the melodic call to prayer very distinctly. merci ; nous espérons vous voir une autre fois . 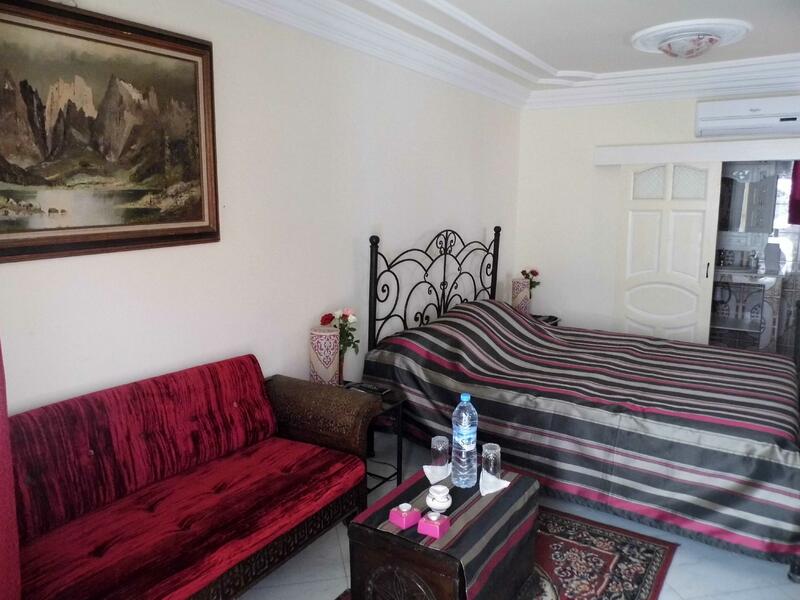 A great room, really good value and friendly staff. 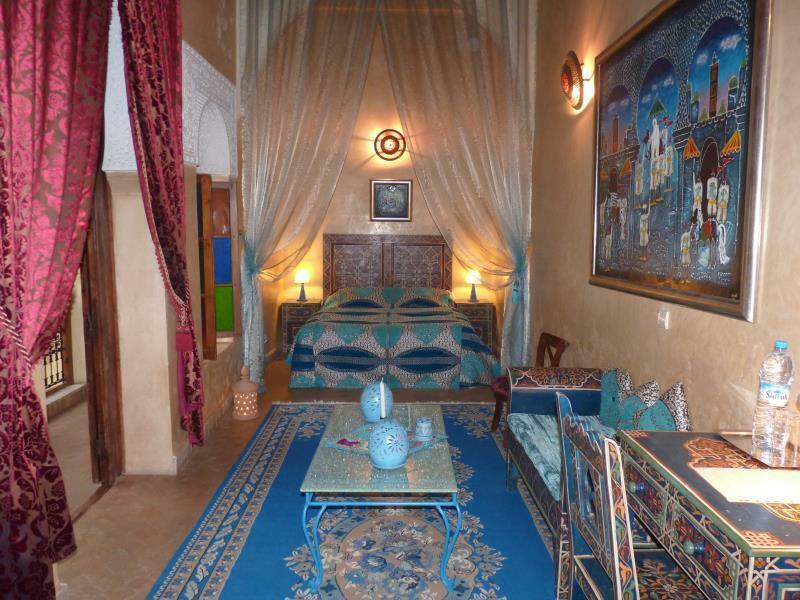 Riad was gorgeous. Some language barriers with English. Breakfast was tasty. Staff helpful and kind. Although the plumbing wasn't the best (washroom stank a little, especially the room with the whirlpool tub, which doesn't work by the way), the rooms were clean and so was bedding. Service was fantastic. nice hosts, beautiful decor. in sale so to see sights, need to walk 10-30 mins to catch a rowboat, taxi or tram to rabat. metered petit taxis stay in sale or rabat, but to go between, need to negotiate grande taxi which i find to be a hassle. or walk 25-30 mins to tram. i was welcomed with fresh juice. room spacious but very low hot water pressure so i took a bath in nice tub with jets! 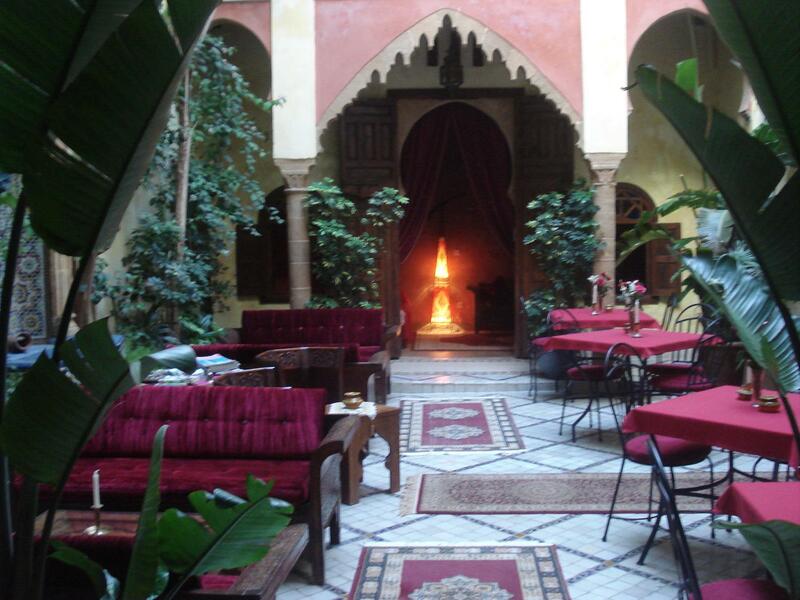 like all riads, you can hear other guests when they are in common areas. had nice dinner there for 200dh (drinks additional) which was worth not having to go out. included breakfast was good. no tourist maps so bring your own. Es un bonito Riad pero necesita mantenimiento. Camas incómodas y esas mantas ya en desuso se podrían cambiar por cómodos y ligeros edredones. Decoración recargada. difficulté à se connecter avec Internet le lavabo fuyait beaucoup et inondait la salle de bains Manque de pancartes pour trouver le riad depuis le parking. Très bien. Il n'y a pas de reproche à faire. bonjour, nous avons était agréablement surpris par notre réservation, tant par l’accueil que par la beauté du lieu. c'est un hôtel à taille humaine qui nous permet de se sentir comme à la maison. notre séjour s'est très bien déroulé, les propriétaire était accueillant,souriant et à l'écoute. séjour à conseiller et refaire sans problème. sale est une ville à visité. Отель расположен недалеко от пляжа Сале, в медине （легко найти）. на этом дрстоинства заканчиваются: 1. В нашем номере на всех стенах отваливалась штукатурка и сыпалась на кровать. 2. Ползуют муравьи 3. откровенно дырявые （со множеством дырок） и желтые полотенца 4. сотрудница ресепшн, которая постоянно лежала на диване ногами вверх и смотрела телевизор. На все просьбы и вопросы делала очень недовольный вид и нехотя отвечала, будто она тут гость, а не мы... За такие деньги лучше заселиться в другой отель. bonjour ; nous excusons encore une autre fois mais nous avons t'explique que ces la faute de l'enregistrement qu'a fais le surcharge ; encore désolée .